After a two-decade fallow period with dramas, Francis Ford Coppola returned to his horror roots (that began during his apprenticeship with Roger Corman) with “Twixt,” a vanity production (it had to follow three self-imposed mandates that Coppola requires in all of his new work: That it be his own original story and screenplay, have some personal element, and be self-financed) that failed to stir any appreciation by critics and lacked any theatrical release of note. Unfortunately, this lackluster film won’t rise to the top of the director’s list of memorial work, thought it does have its moments. Basically, there’s too much overacting, too much underacting, and too much silliness for the dreamlike plot to grab at the viewer. The story: A writer (a portly, underachieving Val Kilmer) with a declining career arrives in a small town as part of his book tour and gets caught up in a murder mystery involving a young girl, a story that could be source material for his next novel. That night in a dream he is approached by a mysterious young ghost named V (Elle Fanning). He’s unsure of her connection to the murder in the town, but is grateful for the story being handed to him. But as he investigates the killing, he uncovers more horrifying revelations, and is ultimately led to the truth of the story, finding that the ending has more to do with his own life than he could ever have anticipated. This particular story came to Coppola during a vivid dream he had while on a trip to Istanbul and is inspired by the writings of Edgar Allen Poe and Nathaniel Hawthorne. Also stars Bruce Dern (who chews the scenery), Ben Chaplin, Joanne Whalley and David Paymer. Extras include “Twixt — A Documentary by Gia Coppola,” an on-set featurette by the director’s granddaughter that offers an insightful look into the production, as well as allowing Coppola to wax poetic on the process of filmmaking — insights that turn out to be more interesting than the film he made. Vitals: Director: Francis Ford Coppola. 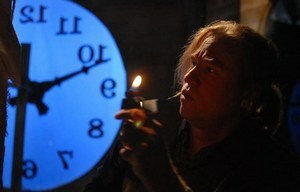 Stars: Val Kilmer, Bruce Dern, Elle Fanning, Ben Chaplin, Joanne Whalley, David Paymer. 2011, CC, MPAA rating: R, 88 min., Horror Thriller, Fox. “Trance” is an all-out assault on the psychological thriller by master-of-every-genre Danny Boyle. Much like his assault on science fiction, “Sunshine,” audiences shied away from “Trance,” most likely because the meat of the film can’t be encapsulated in a few words or a 60-second trailer. “Trance” is nothing short of a visual mind game that blurs the lines between fiction and reality, heroes and villains, recalling the more monumental early works of David Cronenberg. It’s a convoluted crime caper-mystery-thriller roller-coaster ride in which the viewer — as well as the protagonists — never know what’s real and what’s fiction. The story: Simon (James McAvoy), a fine art auctioneer, teams up with a criminal gang to steal a $27 million Goya painting, but after suffering a blow to the head during the heist, he awakens to discover he has no memory of where he hid the painting. When physical threats and torture fail to produce answers, the gang’s leader, Frank (Vincent Cassel), hires hypnotherapist Elizabeth Lamb (Rosario Dawson) to delve into the darkest recesses of Simon’s psyche. As Elizabeth begins to unravel Simon’s broken subconscious, the lines between truth, suggestion, and deceit begin to blur. Though it may take some extra viewing to unravel the truth (if that’s even possible), the film is well worth putting on your list — if nothing else than for the stunning performance by Dawson. Extras include deleted scenes, commentary and behind-the-scenes featurettes. Vitals: Director: Danny Boyle. Stars: James McAvoy, Rosario Dawson, Vincent Cassel, Tuppence Middleton, Sam Creed. 2013, CC, MPAA rating: R, 101 min., Thriller, Box office gross: $2.310 million, Fox. Sally Potter, director of the outlandish “Orlando” (1992) and “The Tango Lesson” (1997), continues her skein of interesting and quirky productions with “Ginger & Rosa,” a coming-of-age story set in London in 1962. The story: Two teenage girls — Ginger & Rosa — are inseparable. They skip school together, talk about love, religion and politics and dream of lives bigger than their mothers’ domesticity. As the Cold War meets the sexual revolution and the threat of nuclear holocaust escalates, the girls face the clash of desire and the determination to grow up. Ginger (Elle Fanning) is drawn to poetry and protest, while Rosa (Alice Englert) shows Ginger how to smoke cigarettes, kiss boys and pray. Both rebel against their mothers: Rosa’s single mum, Anoushka and Ginger’s frustrated painter mother, Natalie. Meanwhile, Ginger’s pacifist father, Roland, seems a romantic, bohemian figure to the girls. He encourages Ginger’s Ban-the-Bomb activism, while Rosa starts to take a very different interest in him. As Ginger’s parents fight and fall apart, Ginger finds emotional sanctuary with a gay couple, both named Mark, and their American friend, the poet Bella. Finally, as the Cuban Missile Crisis escalates — and it seems the world itself may come to an end — the lifelong friendship of the two girls is shattered. “Ginger & Rosa” takes the familiar teen-coming-of-age genre and subverts it into a sensitive look at the real joys and sorrows of growing up, presenting her characters with more predicaments than most kids have to face and merging the personal with the political. Potter ups the ante of coming-of-age tales set in the 60s — or any decade, for that matter — by adding in the anti-war sentiments and a love affair between one of the girls and the other’s dad. And, the icing on the cake: Elle Fanning is spectacular as Ginger. Extras include deleted scenes, cast interviews, an audio commentary with writer-director Potter and two featurettes going behind-the-scenes into the making of the film. Vitals: Director: Sally Potter. Stars: Elle Fanning, Alice Englert, Alessandro Nivola, Christina Hendricks, Timothy Spall, Oliver Platt, Annette Bening. 2013, CC, MPAA rating: PG-13, 90 min., Drama, Box office gross: $1.05 million, Lionsgate. Comedy about the unexpected detours we encounter on the road to happiness. Year in and year out, Princeton admissions officer Portia Nathan (Tina Fey) has lived her life by the book. But during her annual recruiting trip, she finds herself reconnecting with a former college classmate, free-spirited teacher John Pressman (Paul Rudd). As she bends the entrance rules for one of his very unconventional students, Portia puts at risk the future she thought she always wanted, and finds her way to a surprising and exhilarating life she never dreamed of having. Director: Paul Weitz. Stars: Tina Fey, Paul Rudd, Michael Sheen, Lily Tomlin, Gloria Reuben, Wallace Shawn. 2013, CC, MPAA rating: PG-13, 107 min., Comedy, Box office gross: $17.873 million, Universal. Available: 7/9. In this inspired new film, Oscar-nominated actor-writer-director Sarah Polley discovers that the truth depends on who’s telling it. 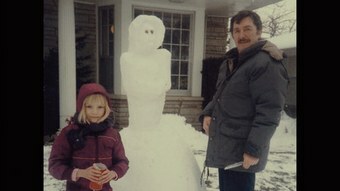 Polley is both filmmaker and detective as she investigates the secrets kept by a family of storytellers. She playfully interviews and interrogates a cast of characters of varying reliability, eliciting refreshingly candid, yet mostly contradictory, answers to the same questions. As each relates their version of the family mythology, present-day recollections shift into nostalgia-tinged glimpses of their mother, who departed too soon, leaving a trail of unanswered questions. Polley unravels the paradoxes to reveal the essence of family: always complicated, warmly messy and fiercely loving. Stories We Tell explores the elusive nature of truth and memory, but at its core is a deeply personal film about how our narratives shape and define us as individuals and families, all interconnecting to paint a profound, funny and poignant picture of the larger human story. An official selection of the Sundance, Toronto, Venice and Telluride film festivals and winner of Best Documentary at the Toronto Film Critics Association Awards, “Stories We Tell” is at its core a deeply personal film about the nature of truth and memory, and how personal narratives shape and define both individuals and families. Vitals: Director: Sarah Polley. 2013, CC, MPAA rating: PG-13, 108 min., Documentary, Box office gross: $1.243 million, Lionsgate. 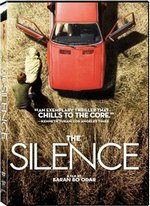 Who wrote the book upon which “The Silence” is based? Three e-mail addresses will be chosen at random from those received; only correct answers sent to info@onvideo.org are eligible to win. Only winners will be notified and only one entry per email address.